Also in attendance were HE Sheikh Salem bin Abdulrahman Al Qasimi, Chairman of Sharjah Ruler's Office; HE Sheikh Majid bin Sultan Al Qasimi, Director of Districts & Villages Affairs Department; HE Sheikha Hind bint Majid Al Qassimi, Acting Chairperson of Sharjah Business Women Council; HE Khawla Al Mulla, Chairperson of the Sharjah Consultative Council; HE Abdulaziz bin Butti AlMuhairi, Director of Sharjah Health Authority; HE Salim Ali Al Muhairi, Chairman of Sharjah City Municipal Council; HE Tariq Allay, The Director General of the Sharjah Government Media Bureau; HE Khamis bin Salim Al Suwaidi, Chairman of Districts & Villages Affairs Department; HE Dr Zaki Nussaibeh, Minister of State; HE Nada Askar Al Naqbi, Director General - Sharjah Womens Sports Foundation and HE Salim Yousif AlQaseer, Chairperson Labour Standards Development Authority. Mona Saudi: Poetry and Form is presented by Sharjah Art Foundation, in collaboration with Sharjah Art Museum. Co-curated by Hoor Al Qasimi and Noora Al Mualla, the exhibition will include works by the artist from the mid-1960s until today, encompassing a large selection of the stone and marble sculptures for which she is best known as well as paintings, drawings and other works on paper inspired by renowned poets including Mahmoud Darwish and Adonis. Mona Saudi: Poetry and Form will highlight the artist’s exploration of the intertwined relationship between stones and modern form. In many of her works, notions of growth, fertility and the body are explored through her introduction of compositional movement into conventional geometric shapes. A substantial presentation of the artist’s sculptures will provide rare insight into the evolution of Saudi’s aesthetic and intellectual journey, which is particularly evident in her work with different types and colours of stone, including white marble, pink limestone, green marble and black diorite, all sourced from the greater surrounding region. Mona Saudi (b. 1945, Amman, Jordan) creates movement in shapes and presents different types of stone in abstract forms characterised by serenity, harmony and high sensuality in order to create a poetic dimension in her work that reflects both opposition and contrast. 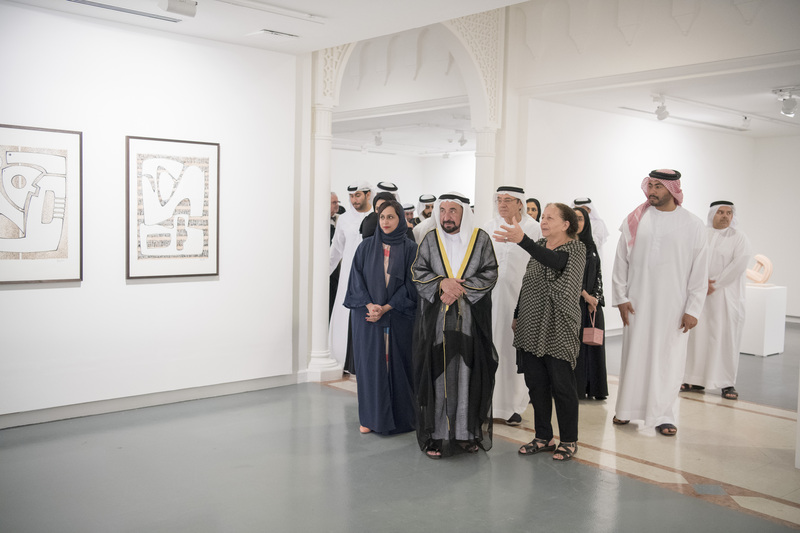 Saudi’s work has been exhibited at the Institut du monde arabe, Paris (2012); Sursock Museum, Beirut (1993–2011); The Mosaic Rooms, A M Qattan Foundation, London (2010); Jacaranda Images Gallery, Amman (2010); International Cairo Biennale (2003); Les Ateliers Arabes, UNESCO, Beirut (2001); Al Oudaya Museum, Rabat (1999); Darat Al Funun, Amman (1995); National Museum of Women in the Arts, Washington, DC, (1994); Institut du monde arabe, Paris (1987); Kunstnernes Hus, Oslo (1981); Oriental Museum, Moscow (1979); International Art Exhibition for Palestine, Beirut (1979) and Musée Rodin, Paris (1978), among others. Saudi studied sculpture at the École nationale supérieure des Beaux-Arts in Paris and currently lives and works in Beirut and Amman.